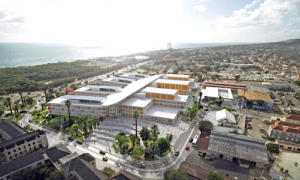 WILLEMSTAD - The entire board of directors of the old hospital must apply for the same job at the New Hospital Otrabanda (HNO) or the new name, Curaçao Medical Center. There is no job guarantee as is the case with the current staff of the St. Elizabeth Hospital (SEHOS). These days there are advertisements for open vacancies in the newspapers. November 5 is the deadline. The new hospital is looking for a chairman for the Executive Board, a medical director and one for business management.